It’s summertime, and we all enjoy picnics and other get togethers this time of year. We have a selection of dip mixes from Country Home Creations including this great tasting, always popular Caramelized Onion & Garlic Mix. Each package, with various recipes, uses simple, often on-hand ingredients to make delicious additions to your meal, appetizer or snack. Jalepeno Pepper Dip Mix is a good example with recipes for Jalepeno Corn Bread, Jalepeno Corn Dip and Jalepeno Chip Dip and Taco Topper. “Feeling Hot, Hot, Hot?” Your taste buds will go crazy if you crave “hot stuff.” This dip is great on tortilla chips, crackers and vegetables. This product contains No MSG, No Added Sugar, No Wheat or Gluten. You can even alter the recipe a bit to suit what you need. 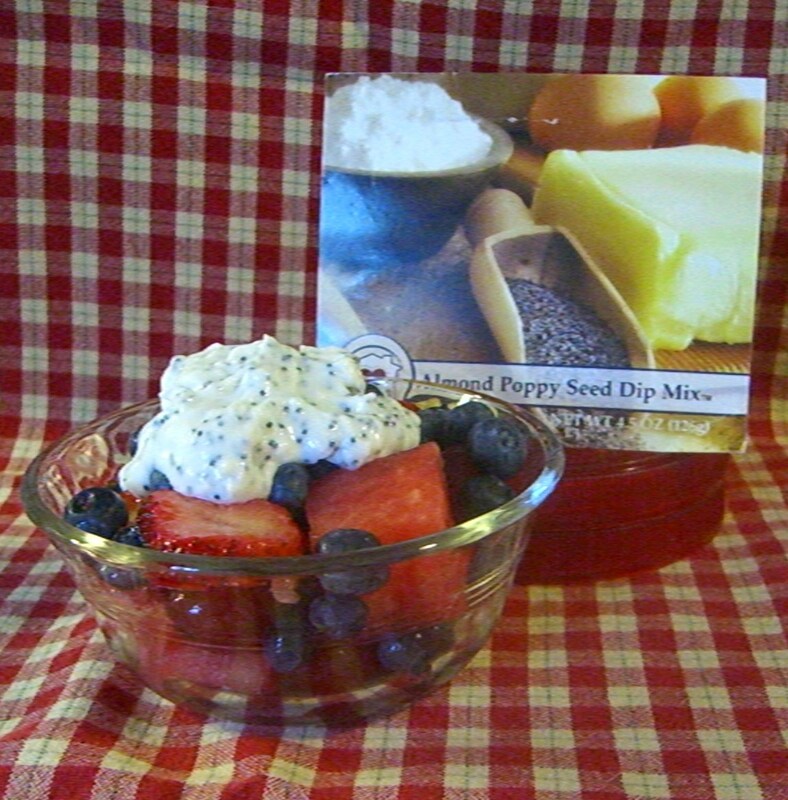 With the Almond Poppy Seed Dip Mix, we used vanilla flavored Greek yogurt instead of sour cream and blended with soften cream cheese and the mix. This makes a great topping to use with fresh summertime fruit. Yummy! We have many more mixes in the shop, both savory and sweet, that will make gourmet-like additions to your meals! Check in with us for more information!